Freshman year, I got involved with THON through my sorority, Kappa Alpha Theta, not knowing much about what is was or how large of an impact it had. My undying passion and commitment to helping others drove me to apply for a chair position. Throughout the past 3 years, THON has become increasingly more significant in my life. The feeling I get when thousands of students come together and we hear “3, 2, 1 STAND UP!” is a feeling that will bring me chills even when I am 4,000 miles away live-streaming from my computer in Europe. 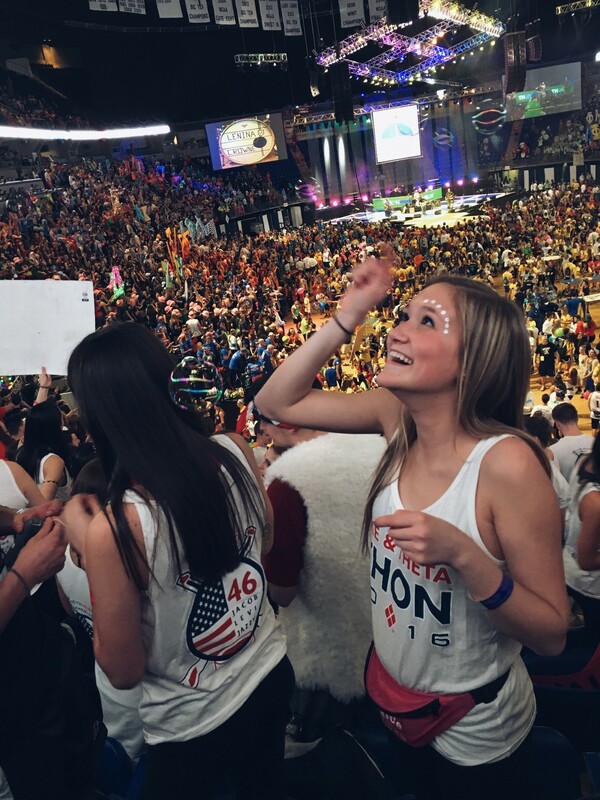 The beauty of THON is that it brings everyone from all different organizations, backgrounds, ages, etc. together for 46 hours where nothing else matters but the kids. THON is an indescribable experience that has greatly impacted my life and lives of millions of others. The feelings and emotions it brings, the pride for our school, and the enveloping love tangible throughout the weekend is a feeling I’ll never completely be able to put into words. Since Freshman year, I have taken a strong initiative to make THON a crucial part of my life at Penn State. 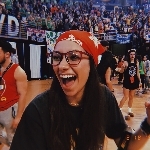 I began my efforts in THON as soon as I could. Freshman year, I joined a Rules and Regulations THON Committee. It was the first time that I joined an organization like this and it instantly made me become more aware of the need for fundraising and doing what I can for a cause. My sophomore year I joined Dancer Relations. During my time as committee member and involvement in my sorority's THON efforts, I was able to truly understand, appreciate, and emulate the motivation Penn State students had to raise money for the Four Diamonds Fund but to also make a difference in a child's life who is fighting this disease. Last year during THON I was emotionally overwhelmed when The Beatles' "Hey Jude" came on around 3am Saturday morning. I was arm in arm with two of my sisters in the stands and the feeling of contentment filled me as I took notice of the thousands of people swaying to the same rhythm in the BJC. This moment will always stick with me. It was one of the first moments that I felt an immense sense of belonging at Penn State. THON is about the kids but it is also about the merging efforts of PSU students to keep these children happier, safer, and healthier than ever. I am truly honored to have gone through these experiences with my sorority and with my university. Please join me and Sophia in our efforts to raise money for the Four Diamonds Fund. We want nothing more than to stand for 46 hours straight during THON 2019 in honor of those who have courageously won their battle, for those who are currently fighting, and for those who have tragically lost theirs. 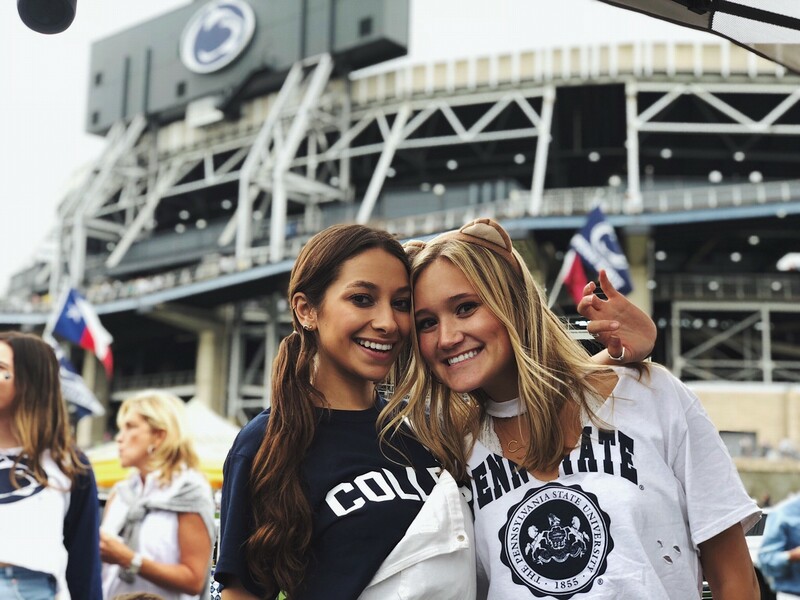 Soleil Nagoda and Sophia Riener have been working tirelessly all year with the hopes of being selected to dance in THON 2019. Independent Dancer Couples are dedicated individuals who set up their own fundraisers throughout the year, and with the support of friends and family, will obtain tickets in a lottery system in the hopes of earning a spot as dancers in the Penn State Dance Marathon. 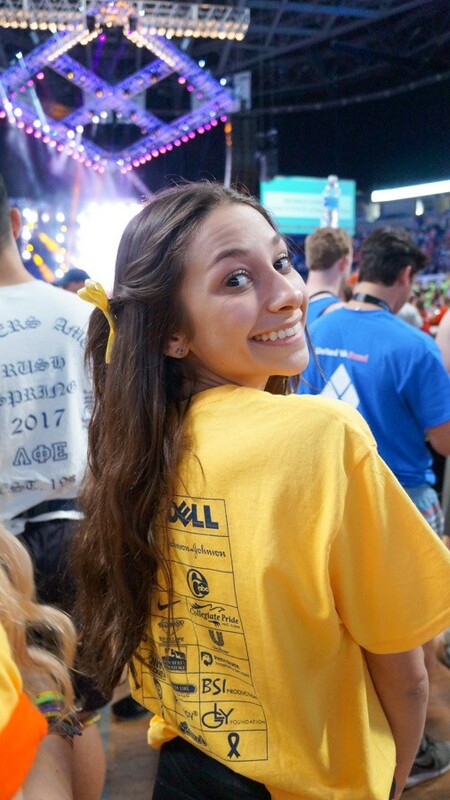 With your contribution, you will bring Soleil Nagoda and Sophia Riener one step closer to being able to take a stand against childhood cancer during THON Weekend 2019.